Minimum/Maximum age: 8 years/no maximum age limit. 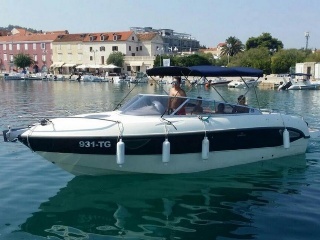 Price: 375 kn ~ 50 € per person and it include transfer to the River Cetina (45 min). What do You need to bring on rafting: Footwear (joggers for the river), a swimming suit and towel. For those who forgot to bring sneakers, we have sufficient reserves to almost all the numbers. 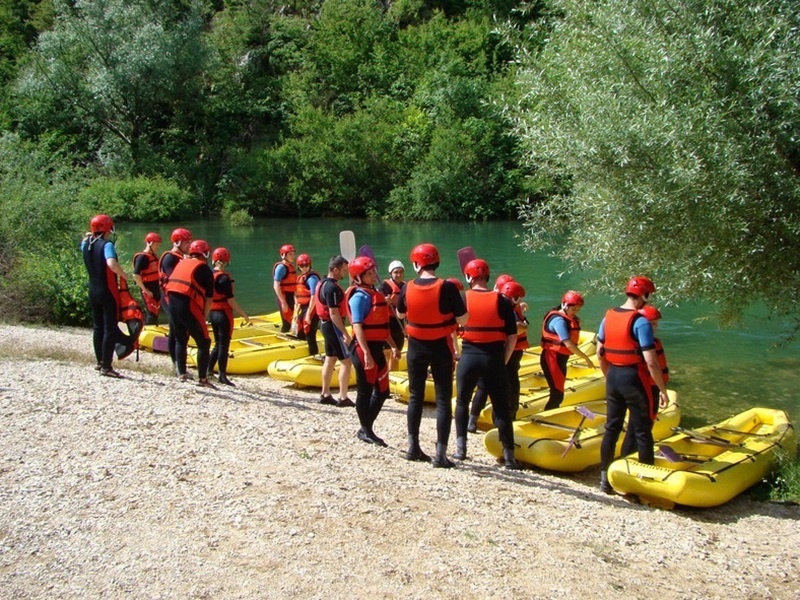 We provide all the equipment necessary for rafting: neoprene suit (all sizes), swimming jackets and helmets. River temperature: It depends of the season but it varies from 14°C to 17°C. 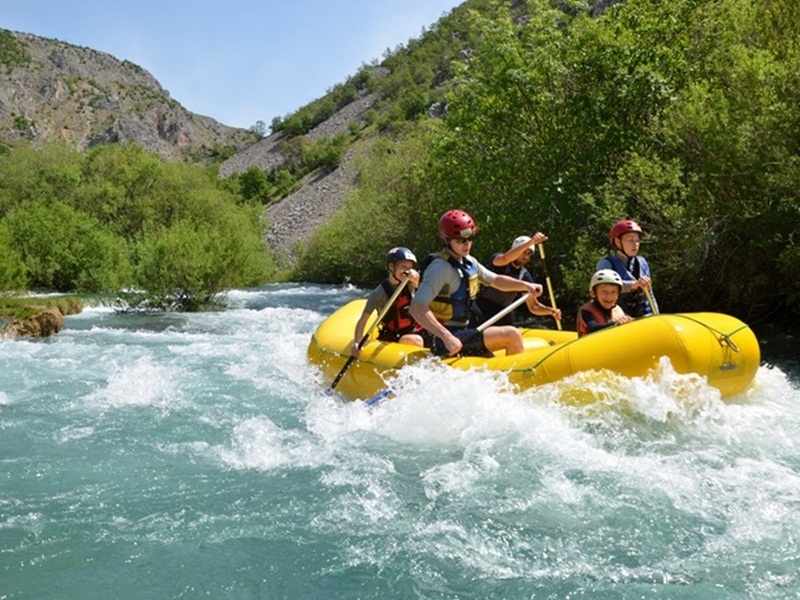 Looking for a really adventure river rafting in Croatia? And with the departures organized from Split? Well, you are on the right place then. 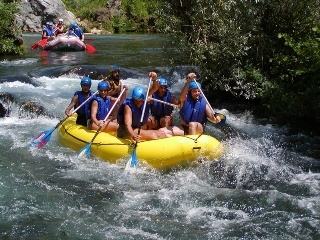 Rafting is a very interesting outdoor activity and a great chance to spend quality time with friends or family. 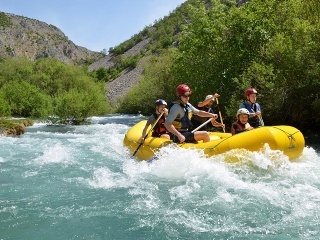 Rafting became very popular among tourists at all age groups. 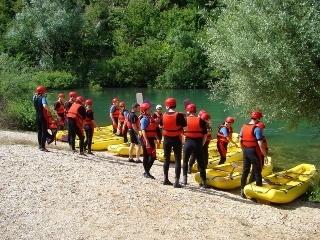 We organize this day trip at beautifull River Cetina, near Split.